After a glittering ceremony at the Carrara Stadium, where the Games were declared open by Prince Charles, focus now shifts to action in the competition arena starting Thursday. With a round of pyrotechnics lighting up the Carrara Stadium, the Opening Ceremony of the 2018 Commonwealth Games concludes. But before leaving you, here's the DAY 1 SCHEDULE OF INDIA as the competition kicks off on Thursday. We will be back with all the live updates from the CWG when the action begins tomorrow. Do join us back. Till then, good bye! Charles, Prince of Wales, declares the 2018 Commonwealth Games open. The baton reaches the hands of its final bearer Sally Pearson who hands it over for the message to be taken out and read. 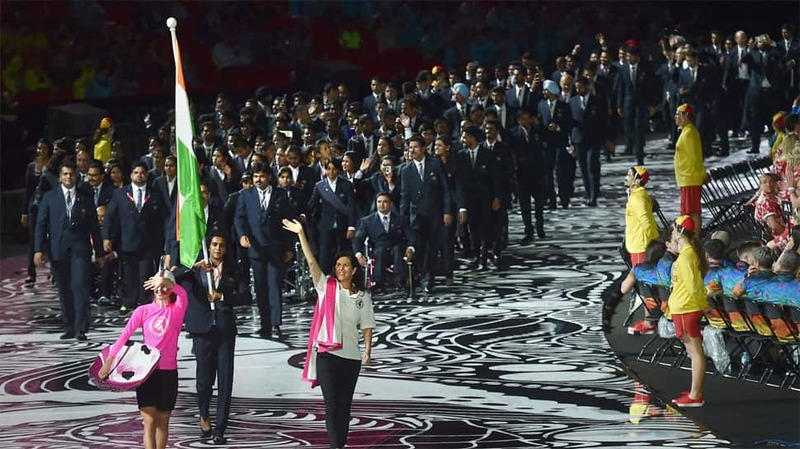 The CGF Ceremonial Flag is being carried into the arena by some of the celebrated CWG athletes. The Parad of Nations at the Opening Ceremony has concluded as the cultural performances resume. A huge cheer as hosts and the most powerful Commonwealth sports nation, Australia, make their way into the stadium led by their hockey great Mark Knowles and welcomed by Prime Minister Malcolm Turnbull. 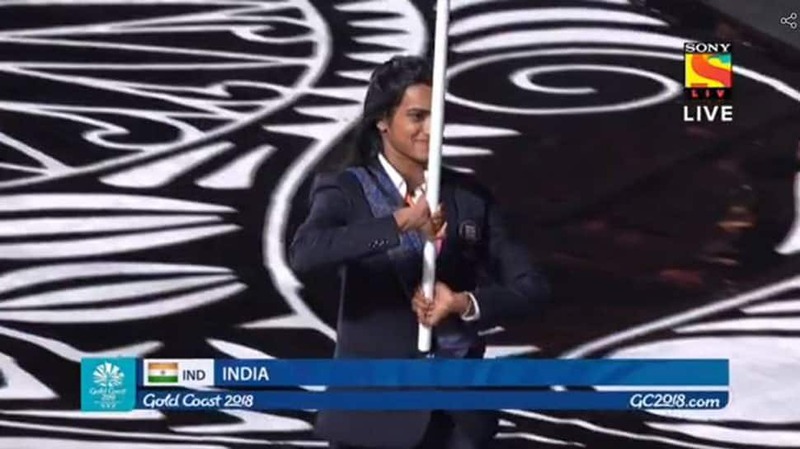 And here comes India, led by badminton ace PV Sindhu as the flagbearer. India's best show at the CWG was in 2010 Games in Delhi when they won 101 medals in all to end up second on the medals tally. The Asian Continent's parade begins with Bangladesh. The entry of nations in the March Past is continent-wise. The African continent nations have just finished their march and now is the turn of squads from the American continent, led by Belize and followed by Canada - another CWG powerhouse. Jazz has now got her hands on the flag and we’re set to enter the stadium! Ghana make their way into the stadium, and their contingent includes a 14-year-old swimmer named Rebecca. Interesting innovation in terms of the signboard on which the contingent's name is displayed - it's a surfboard. 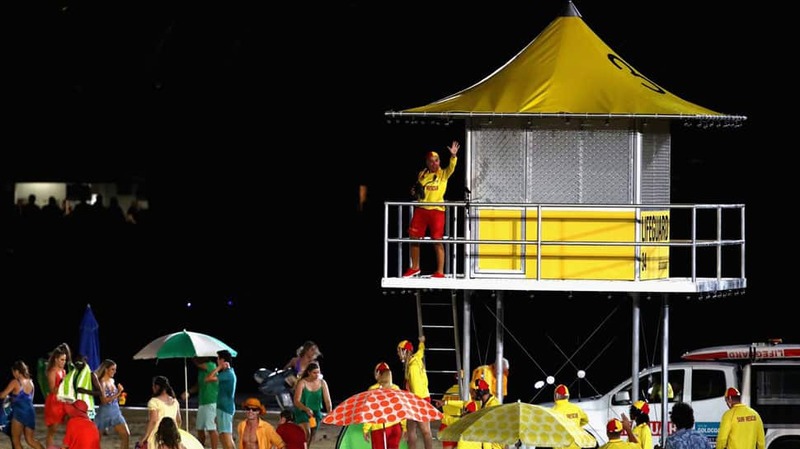 And the announcer is standing atop a lifeguard tower. Enough to remind you are in Gold Coast. A huge cheer for the English contingent as it enters the stadium. England have regularly been among the top three, if not at the top, in the CWG medals tally. Still some time before the athletes' march past begins; however, the Indian contingent (hockey stars PR Sreejesh and SV Sunil in the below picture) can't wait to enter the stadium. The journey of Queen's Baton Relay being displayed on the big screen at the Carrara Stadium. The performances are being held in a big circle made in the centre of the stadium with an excellent light show. The theme of the ceremony seems to be the 'ísland home'. One after the other, the Australian culture, the evolution of mankind is being portrayed through the different ages. From past to the future. And we have kicked off. The ceremony begins with a nicely shot video of the citizens of Gold Coast welcoming people from the world to their home. Australian actor Jeff Thomson starts the proceedings with a demonstration of how the world was born and how the entire landmass was formed into different continents. 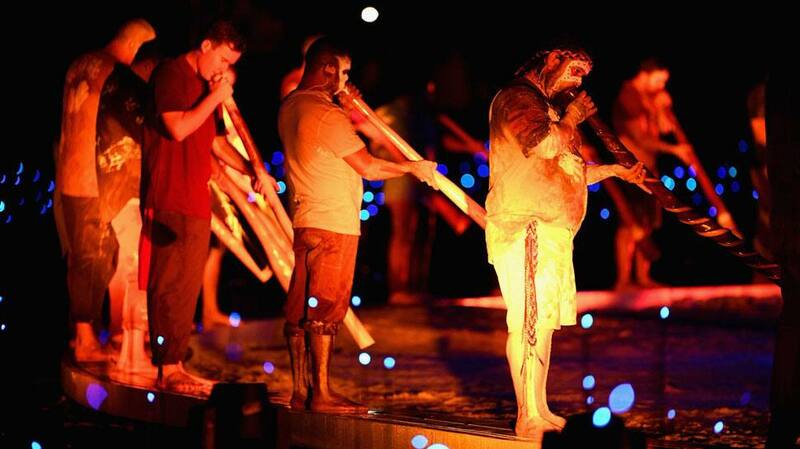 A live performance follows with the tribal colour of Australia mesmerising the crowd in the stadium. The use of tribal music instruments gives the music a surreal feel to it. It is heavily raining in the Carrara Stadium where the opening ceremony is going to take place in a few minutes. But the downpour isn't affecting the enthusiasm of the crowd as they are braving it with their rain coats on. Here are some of the photos of the crowd which is making way to the stadium to witness the grand event. It seems there is still some time for the opening ceremony to commence. Here are some links to the run-up to the event stories that we have covered. Suspense on Priyanka's nomination from Varanasi, or Surprise of Congress?